A man has been executed, a first in eight years, according to the Corrections Department. 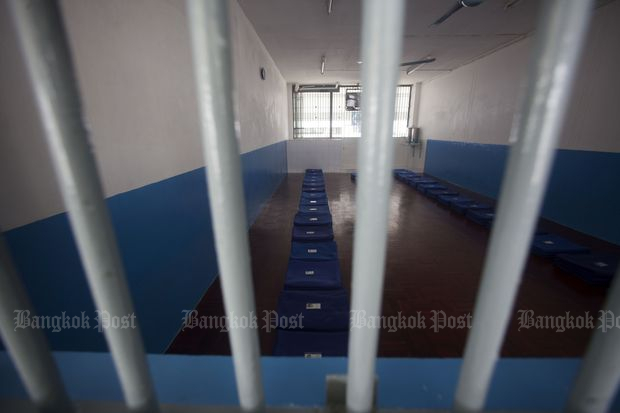 Teerasak Longji, 26, who was convicted of aggravated robbery, received a lethal injection at 3-6pm on Monday, said Pol Col Narat Svetanan, director-general of the department. Teerasak robbed and killed a man in Trang province on July 17, 2012. He took a mobile phone and a wallet from the victim and stabbed him 24 times. The first court handed down a death sentence on him, and the Appeal Court and the Supreme Court upheld it. He was the seventh prisoner executed by lethal injection after the method replaced firing squad 15 years ago. Since 1935, 325 convicts have been executed. Firing squad was used on 319 prisoners. The last time was on Dec 11, 2003. Lethal injection replaced it on Dec 12, 2003. Before Teerasak, it was administered on Aug 24, 2009. Director General Naras Savettanan announced that on 18 June 2018 at 15.00-18.00pm, the Department of Correction has executed a death row prisoner, Mr. Theerasak Longji, 26 years old, who cruelly murdered someone to steal on 17 July 2012 in Trang province. He assaulted, stole wallets and mobile phone, and stabbed the person 24 times to death. The case reached its final verdict by the Supreme Court. The execution was conducted according to the Section 245 of the Criminal Procedural Code, together with Section 19 of the Criminal Code, and the Ministerial Regulation of the Ministry of Justice related to the regulations and methods of execution of prisoners, which prescribes lethal injection as a method. This is the 7th prisoners who had been executed by lethal injections since the method was changed by law from shooting to applying lethal injection in 2003. Death penalty is the most severe penalty in Thai law, although there are many countries that have abolished the death penalty, some countries including Thailand, US and China still retain the death penalty. These countries focuses on protecting the society and the general public from crimes more than focusing on rights and freedom of wrongdoers.The Department of Correction hopes that this execution will serve as a lesson for those who is thinking of committing serious crimes or violating the laws.